Picking up and moving to a new city for a job is a huge deal. To do it, you either have to really hate where you're currently living and working, or get the sort of offer you'd be stupid to turn down. Obviously, certain cities are far more alluring than others (sorry, Duluth), but where exactly are people most likely to want to relocate to, and what locales are they abandoning in droves? A new report from the career pros at Glassdoor sheds light on exactly that, revealing where people are moving for work. The careers site did some serious research and figured out not only how many people would be willing to to move for a job, but also which cities are seeing the most new job applicants, and which cities have the most people skipping town for elsewhere. By surveying nearly 670,000 online job applications from earlier this year for positions in the 40 largest metro areas in the country, the number-crunchers at Glassdoor determined where job-hunters these days are most willing to depart from and move to, and what's driving them do so. 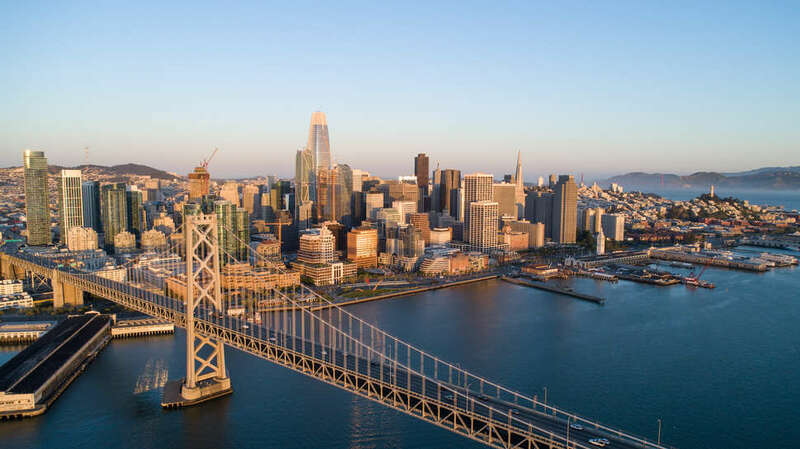 According to the study, San Francisco currently boasts the highest percentage of job applications from people currently living elsewhere, followed by New York City and San Jose, California. On the other end of the spectrum, Providence, Rhode Island has the most job-seekers trying to leave, followed by San Jose, California (it's number two on both accounts), and Riverside, California. Here's the full lineup of cities that ended up on the lists. Beyond identifying these cities, Glassdoor also considered what was compelling people to move. They found that a company's culture was more likely to attract candidates than a higher salary. Specifically, they determined that companies with a 1-star higher overall rating on Glassdoor was six times more likely to entice a candidate to apply than one that's offering $10,000 more in base salary. “You might expect that more money would be a top factor for job seekers when considering whether to move for a job, but it’s not," said Glassdoor Chief Economist Dr. Andrew Chamberlain, who conducted the study, in a press release. "Our research shows companies with good culture and employees who love what they do ultimately have a leg-up when it comes to attracting the best talent from across the country." There are some other interesting takeaways as well. For instance, men and younger people are more likely to move for a job, according to their findings. Men are 3.3% more likely to relocate than women, and the likelihood of a candidate willing to move for a new gig drops by 7% for every decade they age. Also, workers with a master's degree are about 5% more likely to be willing to move. Of course, it's impossible to account for all of the personal factors that may go into someone wanting to flee or flock to a certain place, but one thing's for sure: being an underrated food city apparently isn't enough to keep people in Providence.